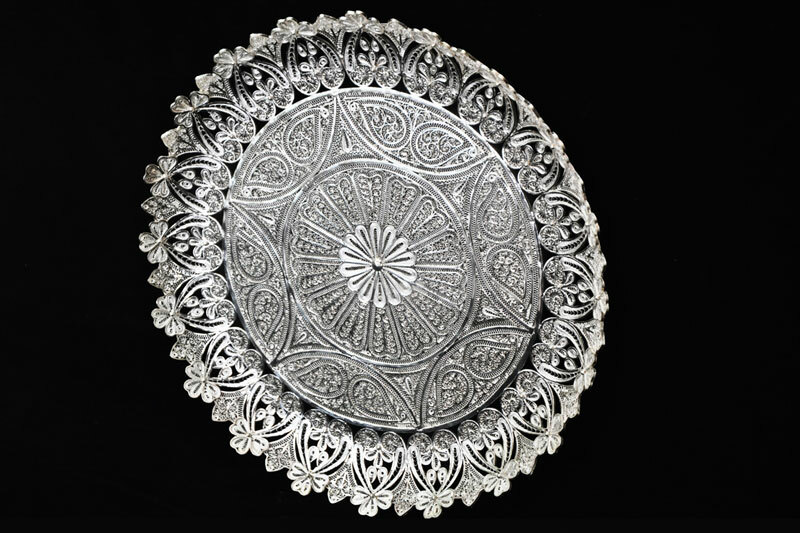 Karimnagar silver filigree derives its name from a town called Karimnagar, district in Andhra Pradesh state. 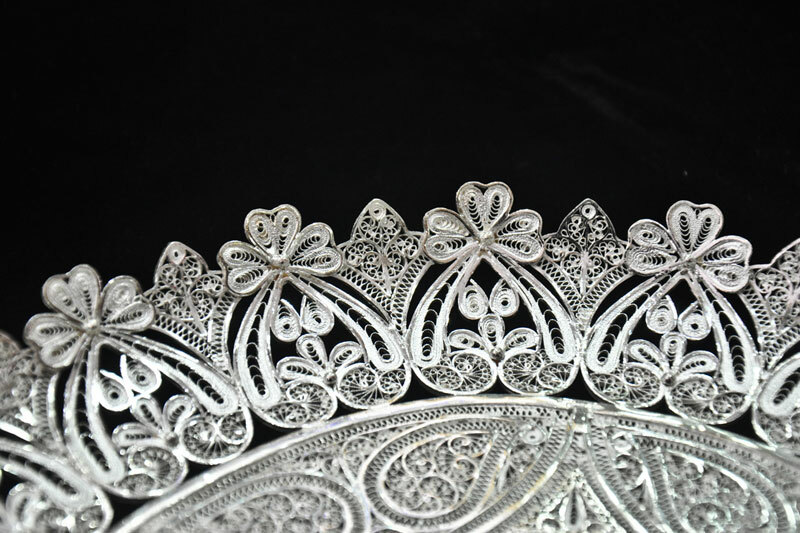 In local language, filigree is referred to as, Vendi teega pani-silver wirework. 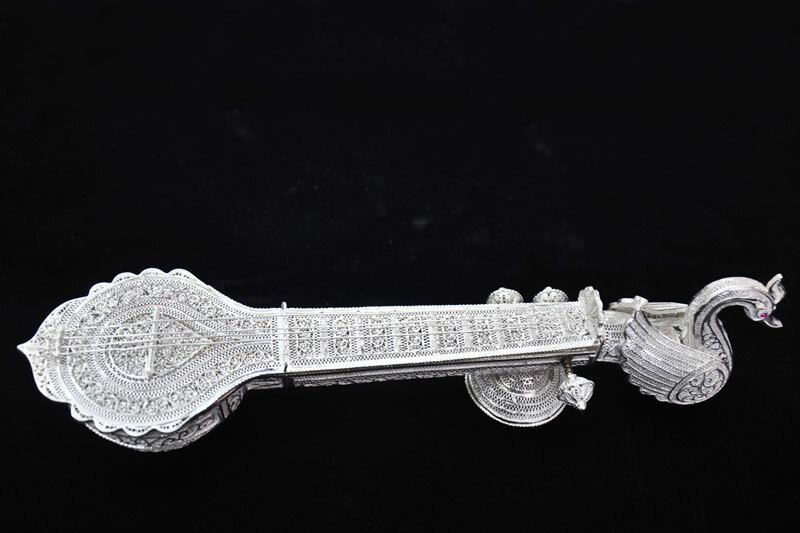 Pure silver is melted and moulded into required shapes. 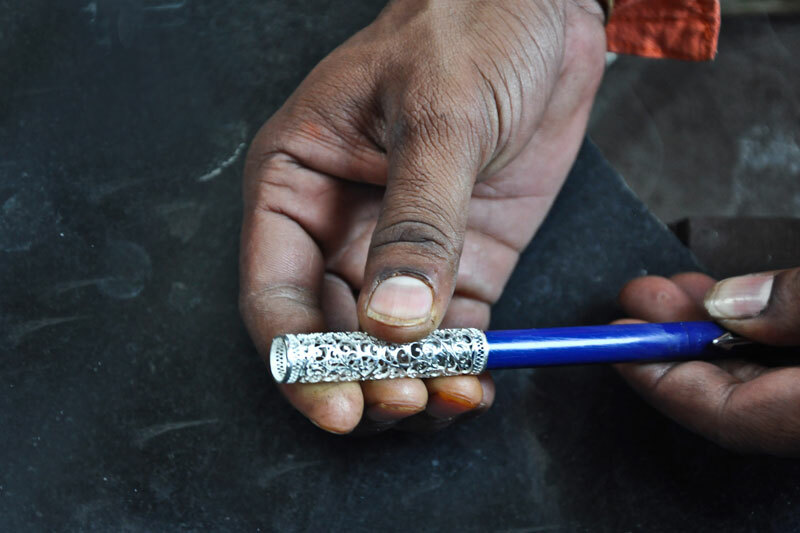 Since 19th Century AD, the craftsmen of Karimnagar produced rich intricate trellis made by twisting silver wire, which referred as Jaali. 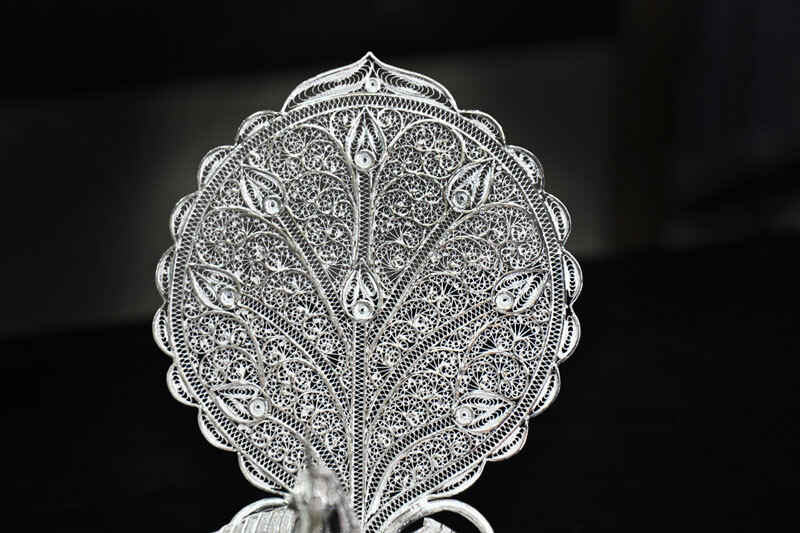 It is believed that silver filigree craft was adopted from Elgandal town near Karimnagar before it moved to Karimnagar town nearly 200 years ago. 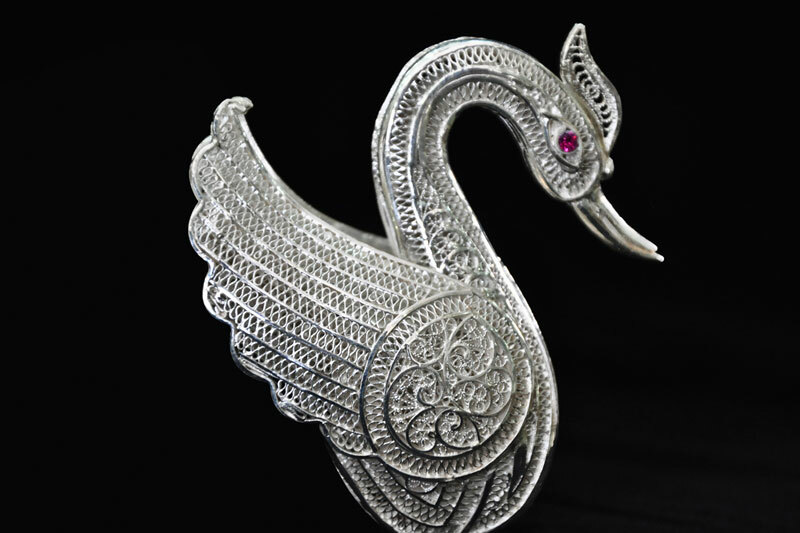 In the present field research and enquiry in Karimnagar town, it has come to light that this craft was introduced by a widely travelled expert goldsmith, Kadarla Ramayya - resident of Yalagandala (Elgandal) who learned and absorbed this new filigree jewel technique and style. 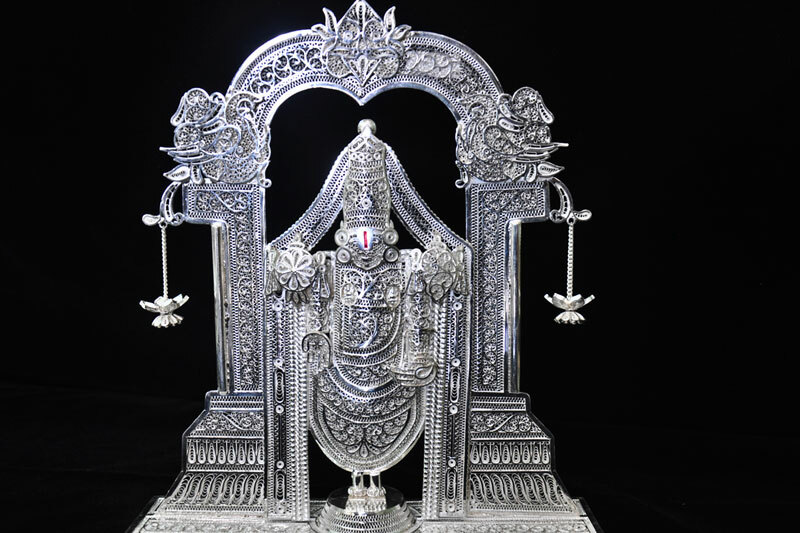 Silver Filigree of Karimnagar is a unique art form by expertise craftsmanship. 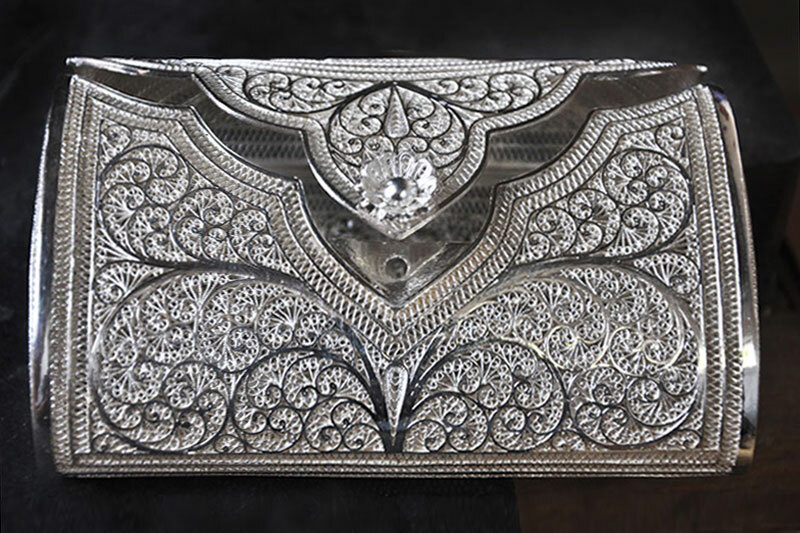 The silver is designed to create range of products with intricate and magnificent motif patterns. 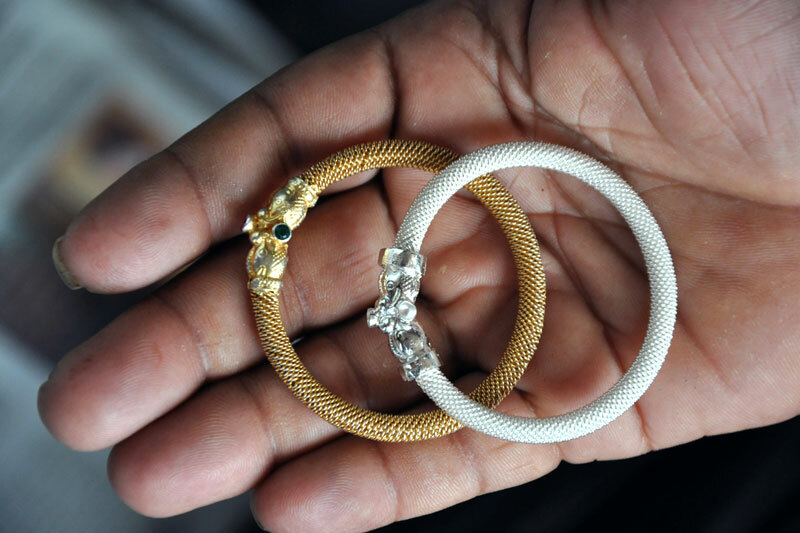 Earrings, necklaces, bangles, rings and pendants are included in traditional products. Idols of lord Ganesha, lord venkateshwara adorning figurines of deities created for worship. 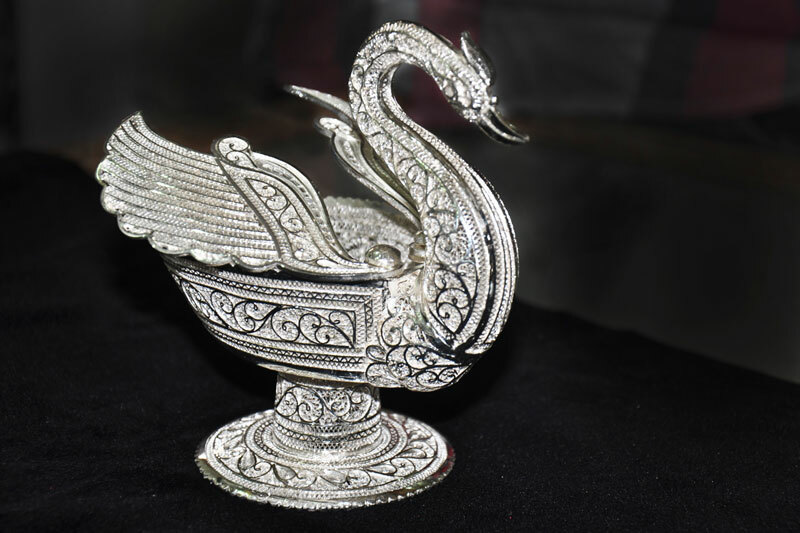 Puja items and decorative art pieces are created inspired by flora and fauna, Birds, peacock, chariots and even ladies bags utility ware like plates, trays, attardaans, ugaldaans, ittardaans, changerdaans (oodhdan), spoons, ashtrays, photo frames, boxes and cases in different shapes and sizes. 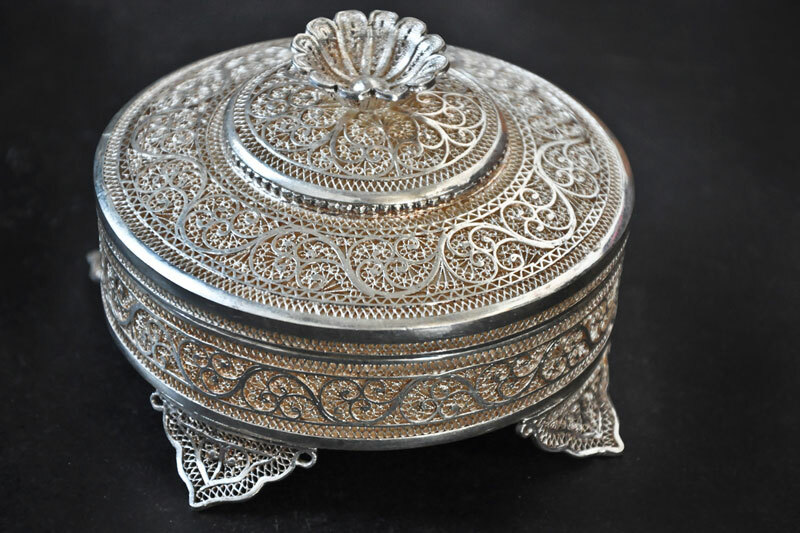 Storage items are made with multipurpose compartments for or keeping different items like spices, betel nuts, betel leaf (paandaan). 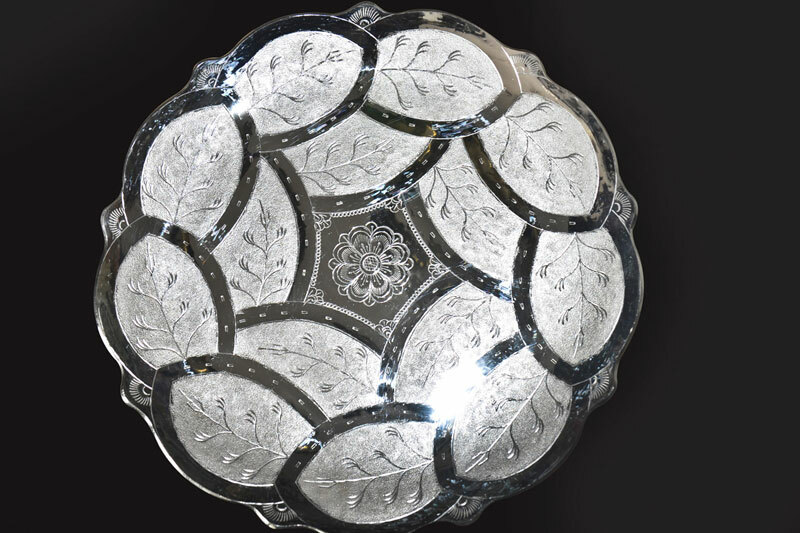 Containers, lamp stands, flower baskets, rose water sprinklers and other fancy items are include in the distinct products.